Every time a new piece of media hits the public regarding eating disorder representation, many of us are left to consider how the film and television industry can better portray the lives of those afflicted as well as convey the seriousness of these illnesses. With the recent release of the trailer for To The Bone, a 2017 Netflix film starring Lily Collins as a young adult overcoming her eating disorder, we are once again plunged into questions such as, “Is this romanticizing eating disorders?” “Is this content too triggering?” or “How can we be sure this film has proper representation?” Here is a list of a few things I think writers, producers, and other influential figures in media should be attentive to when telling the stories of those impacted by eating disorders. Eating disorders don’t discriminate against any population. Regardless of age, gender, ethnicity, sexuality, religion, socioeconomic status, or location, millions of people are suffering from eating disorders. Many of the public portrayals of EDs follow a white, straight teenage girl/young woman. While there are millions of women who can resonate with these depictions, they do not scratch the surface of how many different people are at risk for these life-threatening disorders. They also do not take into account the individual differences when marginalizations cross, and that is particularly why intersectionality is so important, not only to relate to those who do have these experiences, but to also display how various populations are affected by the same issue, differently. Eating disorders are often looked at as a “woman’s illness” despite the fact that 10 million American men will suffer from an eating disorder, yet we rarely see the struggles of men with EDs in media. A special on a middle-class teen with easily available recovery services for eating disorders does not account for the hardship involved in accessing treatment options in poverty. Only displaying a white person’s experience on-screen will not expose the additional stigma and other disadvantages rooted in certain ethnic communities. Additionally, strictly telling the stories of teens and young adults excludes the large number of older adults who may be recovering for decades. All of these experiences are valid, but the lack of diversity in media may cause certain intersections to be undermined. It is possible to inform society about the dangers of eating disorders and the importance of awareness while also exploring the different experiences of that exist in our world today. In addition to the absence of intersections in eating disorders coverage, many writers and producers fail to acknowledge that there are more eating disorders than just anorexia nervosa and bulimia nervosa. That is not to say that we should stop discussing these dangerous disorders all together, but it is also important that the multitude of other eating disorders that exist are equally represented. There are thousands of people who may not have even heard of binge eating disorder, other specified feeding or eating disorders, avoidant/restrictive food intake disorder, pica, rumination disorder, etc. Introducing these very real illnesses into the big screen will aid awareness, spread information about these disorders (or even just the mere existence of them), and maybe even help individuals put a name to their own experiences and inspire them to get help. When you are adapting sensitive topics into a project for mass consumption, the story is going to affect people differently. In regards to a movie showing the harsh reality of eating disorders, there will be some viewers who are lucky enough to have a strong foundation of recovery backing them, there are others who may deeply be suffering and feel triggered by the content, or any experience in between. While we cannot predict how media will influence each and every individual who consumes it, it is the creators’ job to prepare for the multitude of reactions. This may involve utilizing trigger warnings so that viewers have knowledge of the content and can decide for themselves if it is something they want to be exposed to and making help resources available to viewers if they need to reach out. It also may involve learning from others and researching what is positive to include when spreading awareness for eating disorders, as well as what is more harmful than helpful. It means listening to professionals in the field who provide guidelines on how to cover these stories, and listening to the voices whom these stories affect on what improvements need to be made. There is always the chance that ED coverage will trigger those impacted by this topic, but there are precautions that can be taken to make these portrayals safer for widespread consumption. To spread the message that recovery is possible. Writers and directors are absolutely capable of accomplishing these four objectives without promoting the image that eating disorders are something "tragically beautiful" or that they are goals to achieve. As mental illness becomes more publicized and these topics are being discussed more in news and fictionalized stories, it is important that we are engaging in conscious consumerism. Be mindful of the eating disorder stories that you are supporting. Critique the stories that you feel are causing more harm than good. It is critical that those in charge of creating what we consume through media are aware of the implications and consequences of bad representation, but also the benefits of positive and accurate portrayals. For more information on eating disorders in media, check out NEDA’s post on Responsible Media Coverage of Eating Disorders. Emma Giordano is a 21-year-old New York-based psychology student aiming to become a mental health counselor. 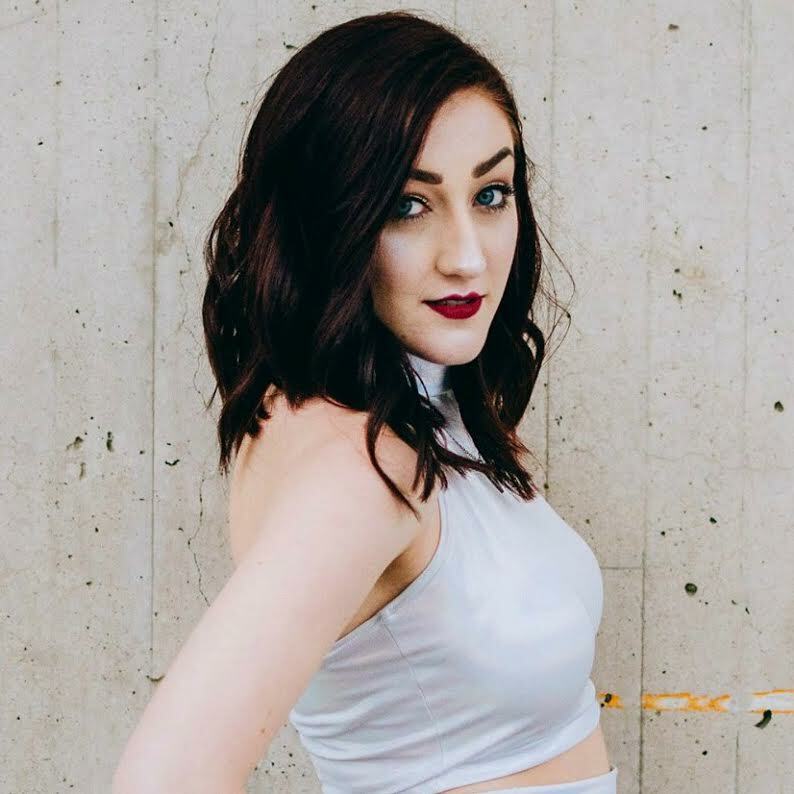 She is a YouTuber at youtube.com/emmmabooks who primarily talks about books but also utilizes her platform to encourage discussion about mental health.